Ideal stamp for marking all your office documents! 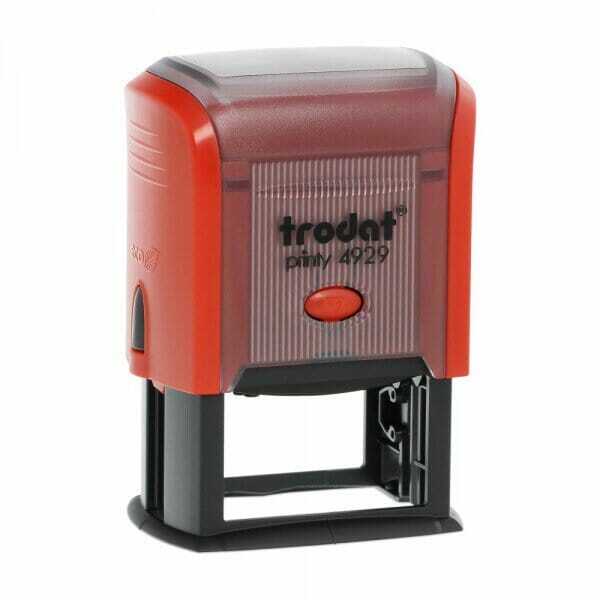 The Trodat Printy 4929 self-inking stamp is part of the worlds most popular range of self-inking stamp. With an impression size of 50 x 30 mm, the 4929 can accommodate a maximum of 6 lines of personalised text - with additional pictures/logos if required. You can create your own custom rubber stamp online using the design wizard, personalised with: a message, name, address, signature, email address or contact details. Replacement pads 6/4929 are available in 5 standard colours: black, blue, red, green and violet. Dry felt pads are suitable for special inks. Customer evaluation for "Trodat Printy 4929 50 x 30 mm - 6 lines"